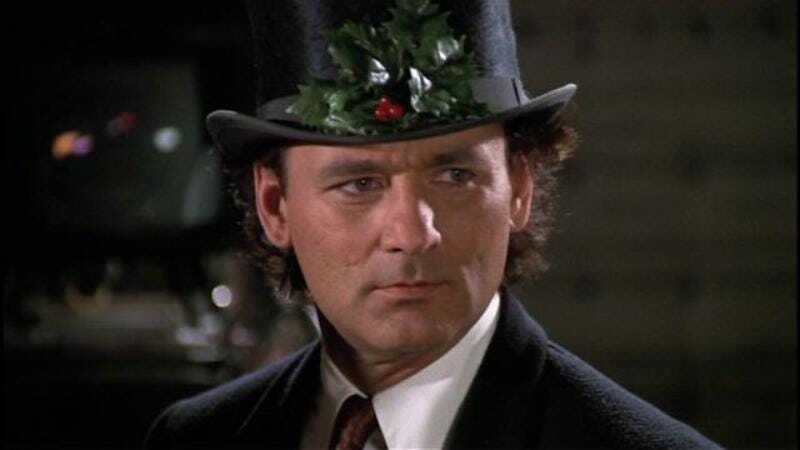 Back in October, Bill Murray announced that he was reuniting with Lost In Translation‘s Sofia Coppola to develop some kind of Bill Murray Christmas special. “We’re going to do it like a little movie,” he said at the time, adding, “It won’t have a format, but it’s going to have music. It will have texture.” Frankly, we’re still wondering if this is an elaborate joke, but it looks like some of Murray’s famous friends trust him a little bit more than we do. According to The Hollywood Reporter, Murray and Coppola’s Christmas special has added George Clooney, Amy Poehler, Miley Cyrus, and Maya Rudolph to its evening of holiday-themed revelry. Instead of playing Dickens-style ghosts (Poehler and Rudolph would be Christmas Past because of Murray’s SNL history, Clooney would be Christmas Present because he’s consistently popular, and Cyrus would be Christmas Yet To Come because she could just silently point her tongue at Ebenezer Murray’s tombstone), all four—and Murray—will be playing themselves. Some of the famous people will even sing Christmas carols, but we don’t know very much else about the project beyond that. THR suggests that the story for the special might involve Murray avoiding “a shark” who is dying to become his agent/manager/whatever, but that doesn’t sound especially Christmas-y to us. Is it too late for them to use our ghost idea instead? That hasn’t been done nearly enough times. The special is still being shopped around, but look for it to premiere somewhere at some point close to Christmas—we assume.